We can’t exclude a possibility that The EUR/USD currency pair won’t start a new ascending movement. Earlier the price rebounded from the intermediate target level, and it looks like it was enough for the bulls. The first target for the bears is at the level of 38.2%. 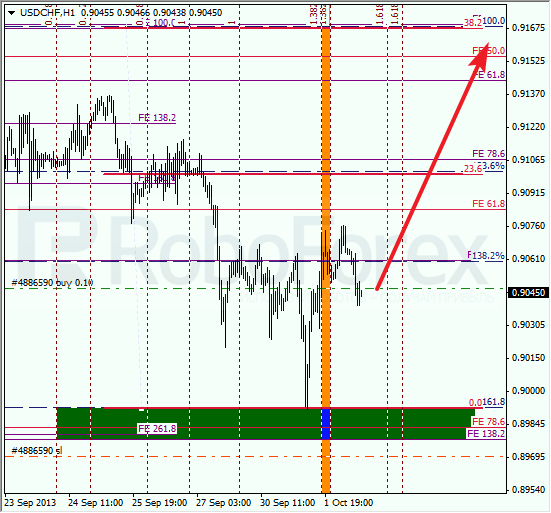 At the H1 chart we can see, that the latest maximum is inside one of the temporary fibo-zone. I’ll try to open several sell orders as soon as the market starts breaking the previous minimums. 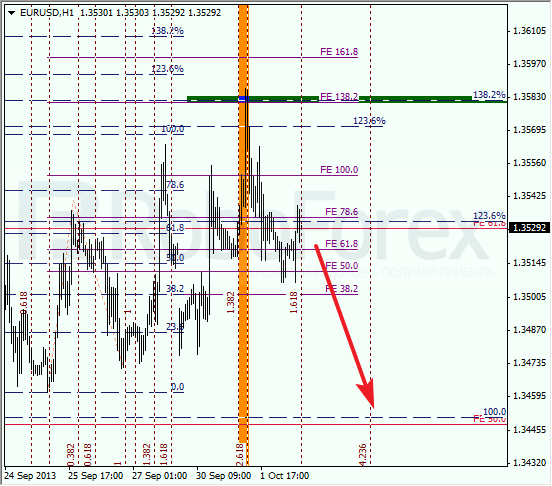 Franc rebounded from the target area. During a local correction, I opened a buy order. The closest target for the bulls is at the level of 38.2%. 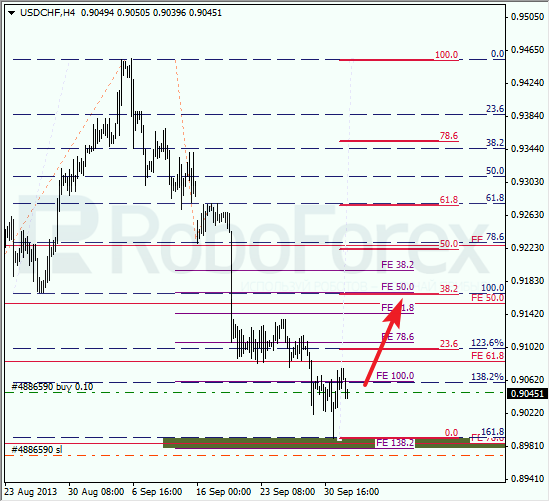 At the H1 chart, the price rebounded from the upper border of the target area, missing the temporary fibo-zones a little bit. In the near term, the pair may continue its local ascending movement, which may result is a new ascending trend.